Polygraphica are exhibiting at Labelexpo 2015 in Brussels later this month. 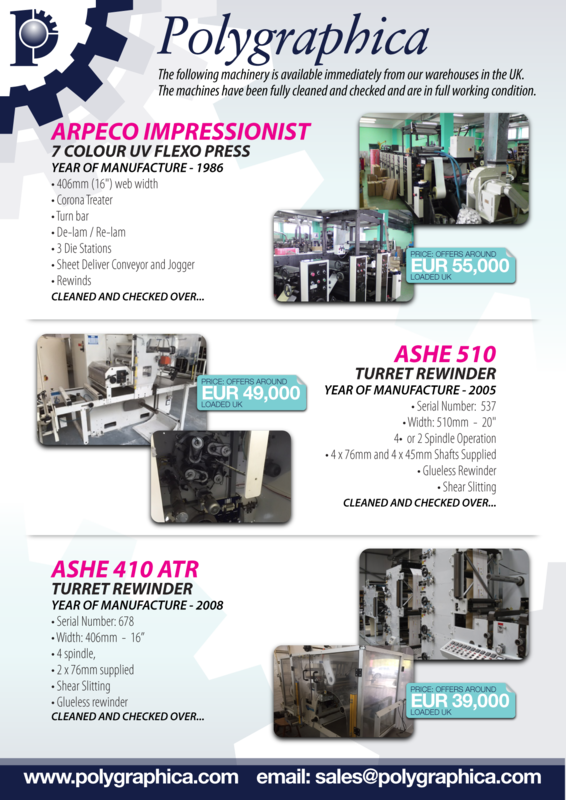 Below is a preview of our Labelexpo Leaflet containing our stock list of machinery immediately available from our warehouse. If you wish to visit us to discuss your requirements for quality used label machinery, we are in Hall 5. Andrew Lapish and Mike Kennedy will be on the stand for the duration of the show, so please call in for an informal discussion regarding your requirements. As part of our service offerings, we are able to carry out online auctions of individual items to full factories generating funds quickly and efficiently, based on our vast industry knowledge, global database and state of the art auction platform. If you have any machinery you wish to sell, by either auction or by open market methods please contact Andrew Lapish or Mike Kennedy to discuss the best options available to suit your requirements. Following on from the success of Labelexpo Europe 2011, Polygraphica have confirmed their booking for Labelexpo Europe 2013. To cope with the amount of interest shown in our services in 2011, we have decided to take a larger stand in 2013. However we will be remaining in Hall 5, along with Gallus and Mark Andy to name but a few. Dates for the show are yet to be confimed, but it will be for four days between the 24th and 28th September 2013 at the Brussels Expo. 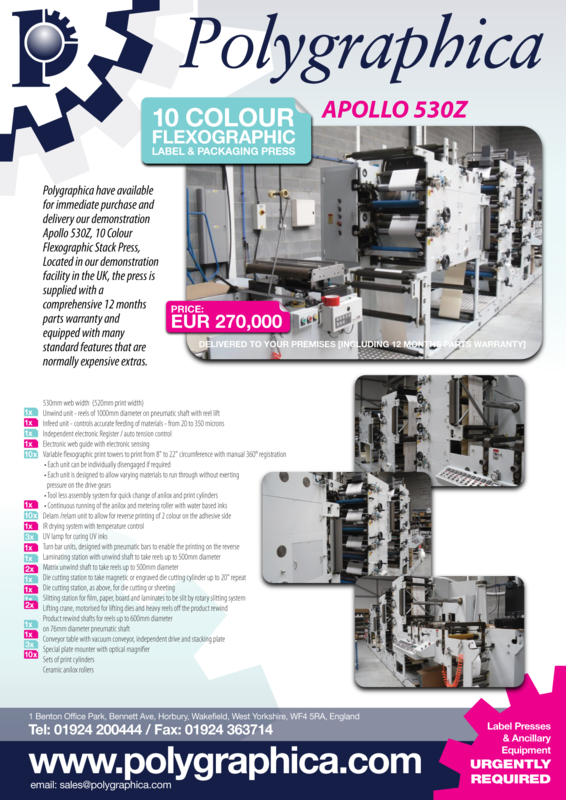 Polygraphica’s participation at Labelexpo Europe 2011 exceeded all our expectations. We had over 500 clients visit our stand alone, from whom we received nearly 200 enquiries for used label presses. If you are interested in any of the machines listed in the brochure please contact Andrew Lapish at sales@polygraphica.com for more information. Polygraphica are pleased to confirm we have a stand at Labelexpo 2011 from 28 September – 1 October 2011 at Brussels Expo. Come and see us in Hall 5 – Stand 5A85 to discuss all your requirements for new and used label printing and label converting equipment.